I've changed lives with Korn, but I wanted to open minds with this..
Now extended through Autumn 2018! 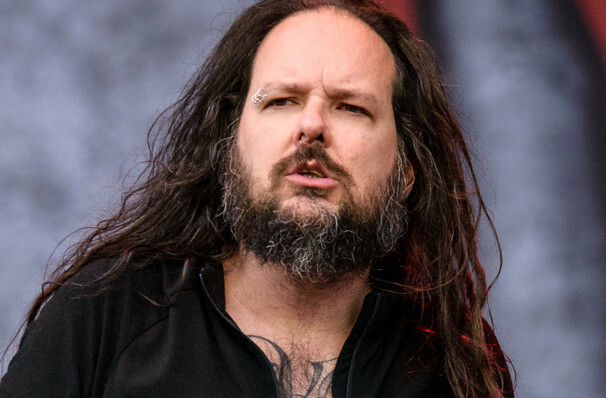 Jonathan Davis has had world-renowned success, Grammy's and international acclaim as the frontman of the heavy metal juggernaut, Korn. Known for pouring his heart and soul out on stage Jonathan Davies embarks on a different kind of approach for his 2018 solo tour. Don't miss this multi-talented instrumentalist in action as he forges a new path through the metal landscape, leading you somewhere worth going. Sound good to you? 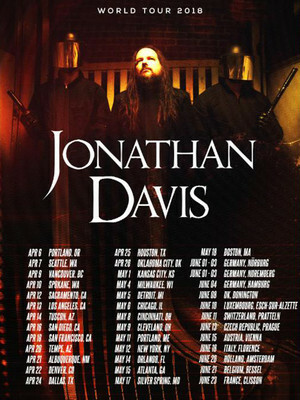 Share this page on social media and let your friends know about Jonathan Davis at The Fillmore. Please note: The term The Fillmore and/or Jonathan Davis as well as all associated graphics, logos, and/or other trademarks, tradenames or copyrights are the property of the The Fillmore and/or Jonathan Davis and are used herein for factual descriptive purposes only. We are in no way associated with or authorized by the The Fillmore and/or Jonathan Davis and neither that entity nor any of its affiliates have licensed or endorsed us to sell tickets, goods and or services in conjunction with their events.